The quality of the message is a perfect reflection of the quality of the pieces: hand hammered, silver, copper, and gold materials, and beautifully packaged (as seen above). *if you would like to schedule one of two giveaway spots available for April, email for more info! Launch week giveaway: $100 to Waiting on Martha! I think that Tuesday is a GREAT day to have a giveaway! 🙂 Her work is gorgeous! i love her copper pieces! they are beautiful. amazing giveaway! 🙂 beautiful pieces. This jewelry is gorgeous! I love really simple metallic pieces like that. love the Tube Hammock Necklace! thanks for the giveaway! 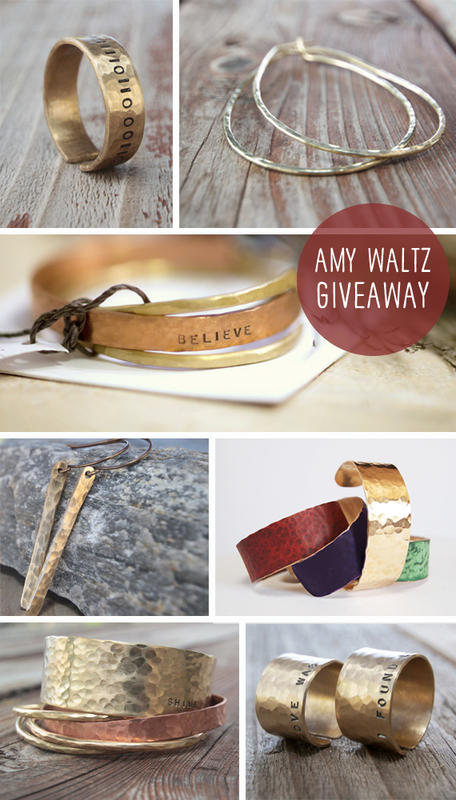 Love all these pieces what an awesome giveaway. Thank you so much for the opportunity! beautiful jewelry!